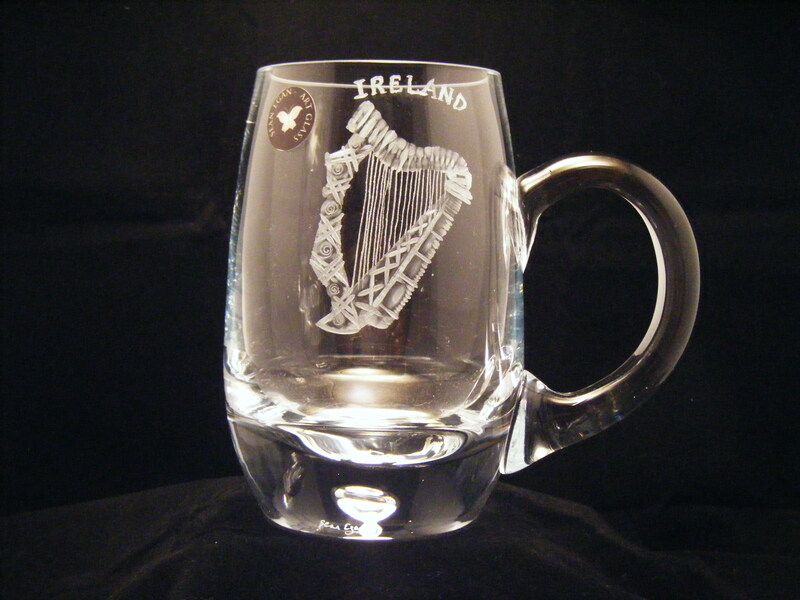 Stemware & Barware: "Irish Harp"
Description 1 pint tankard engraved with classic Irish harp. Bubble in the base coloured green to echo the Irish motif, but it can be left plain. 5.6" high. Irish Harp motif available on a wide variety of glass.